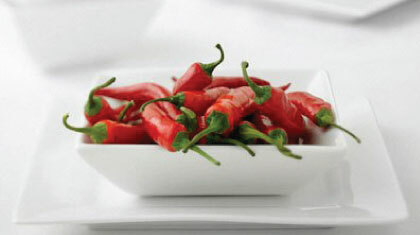 Chilli is always part of our Asian diet, every meal we have, there is always at least one type of chillies offered to go with it. What about our drinks? No quite so. Here is a bottle of vodka that sure will explode your taste buds. 100,000 Scovilles, crowned the spiciest vodka in the world, is infused with Naga Jolokia chillies that produces deathly fire into your mouth. Scoville is the name of a scale that measures the spicy heat of a chili pepper. The number of Scoville heat unit indicates the amount of spiciness (called Capsaicin, a chemical compound in chilli peppers that causes the burning sensation). Naga Jolokia is rated at over one million Scoville units, hence the name denoting the amount of spicy heat unit contained in the bottle. Add a bit of 100,000 Scovilles into your prawn mee next time. 1. The producer of the product is Master of Malt. Tasting notes: To not risk losing our taster, we will let you decide the notes yourself.